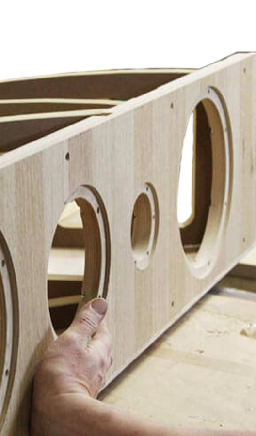 The body of every Gamut loudspeaker is a real labour of love. 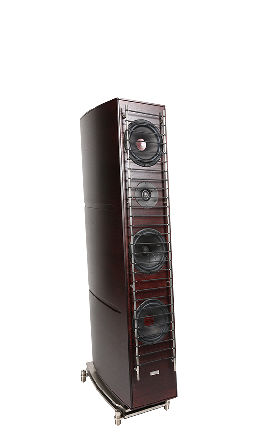 We believe that nature creates the finest materials – both visually and sonically – and so the body of every Gamut loudspeaker is made up of between 21 and 28 layers of real wood veneers. Each individual layer is sourced from fully sustainable forests and, once shipped to Denmark, the veneers are assessed and then hand-selected for their specific acoustic properties. 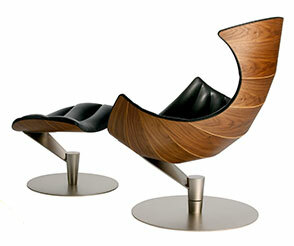 Wood has always been an important element in Scandinavian design and craftsmanship. 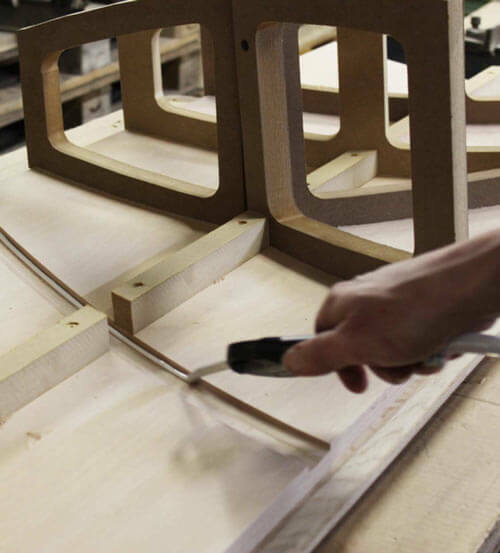 Gamut’s loudspeaker bodies are lovingly crafted by our Danish colleagues Kvist, who are leading experts in ‘wood know-how’ and makers of some of the world’s most iconic luxury furniture. Remember that sustainable forest we mentioned above? That’s their very own, specifically cultivated to meet their exacting standards. 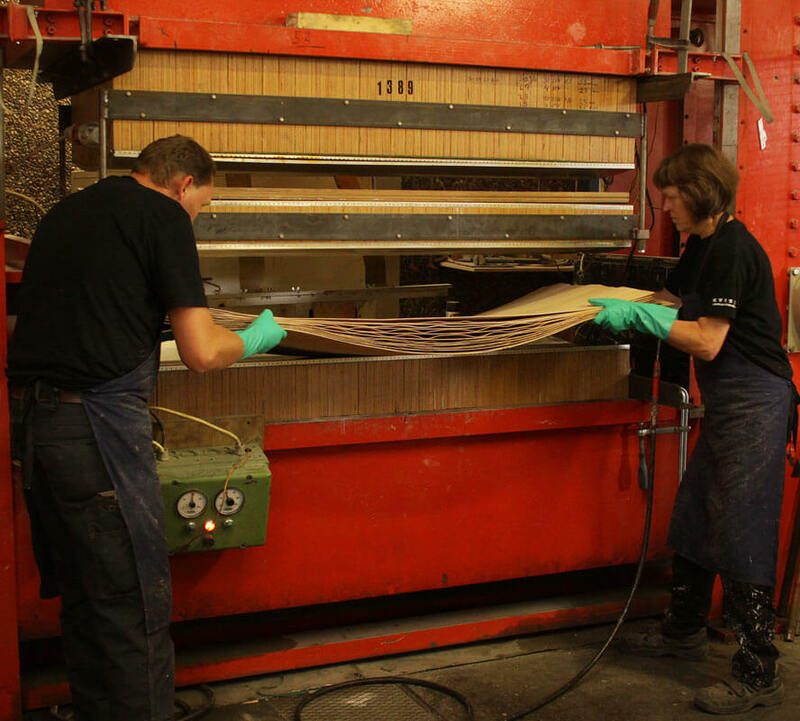 Once the best individual wood veneers have been selected, they are then pressed into panels using a unique form pressing process developed by Kvist. 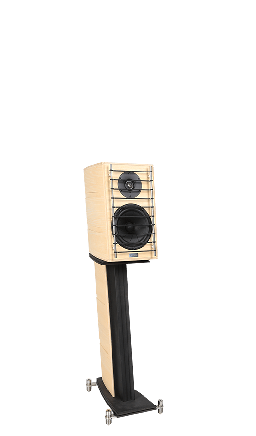 It uses high levels of pressure and heat to remove any stress from within the wood’s structure – stress that could otherwise create tiny sources of sonic distortion in the loudspeaker. 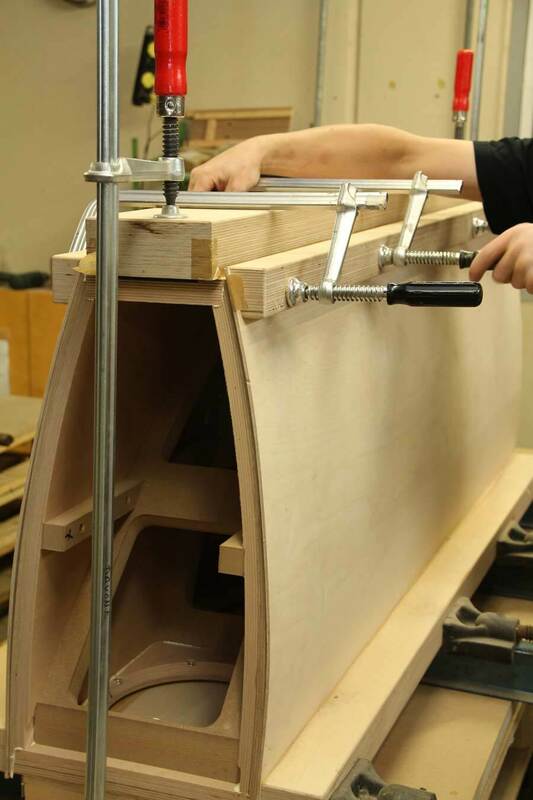 At the same time, it melts the natural glues within the wood so that the layers become coherently melded together, leaving an inherent force in each panel’s structure that will enable faster decay of unwanted vibrations in the finished loudspeaker. 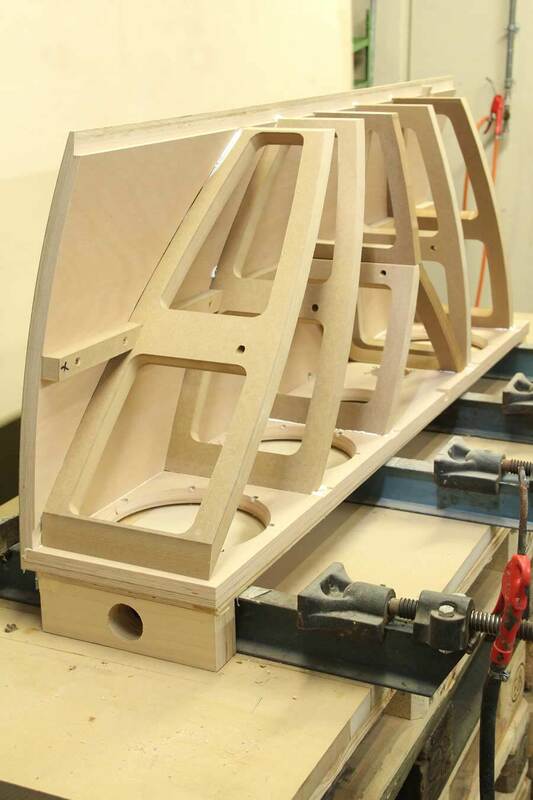 The wood panels are then carefully brought together to create our loudspeaker bodies. 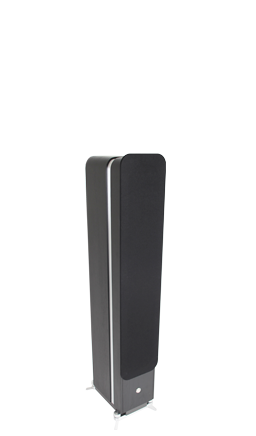 Every last detail in the body design serves a sonic purpose and plays an important part in the speakers’ clean, natural and highly dynamic sound. 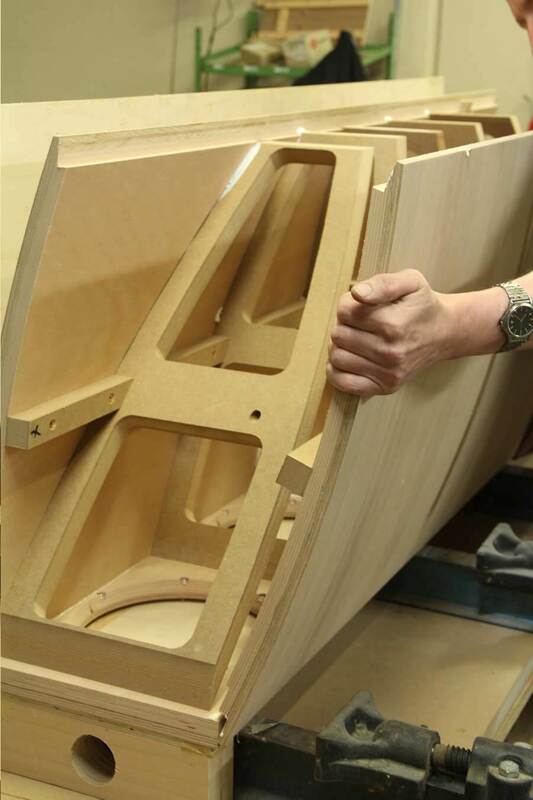 From the curved boat-tail shape that averts the problem of internal sonic reflections between parallel surfaces, to the carefully carved grooves in each side panel for optimised cabinet surface behaviour, every single loudspeaker body is painstakingly crafted to deliver an optimal resonance signature. A high-functioning body needs a high-performing skeleton. 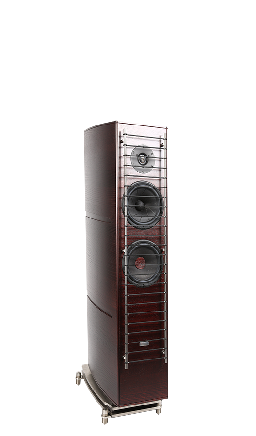 Within every Gamut loudspeaker is a complex system of internal bracing. 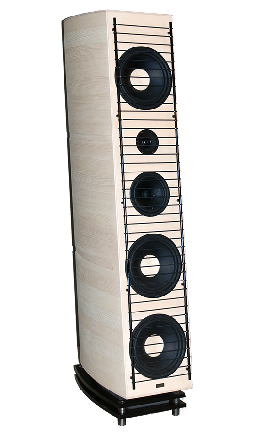 Built using the same first-class real woods as the outer panels, it features fan-shaped reinforcement structures placed at a multitude of angles in very specific locations. 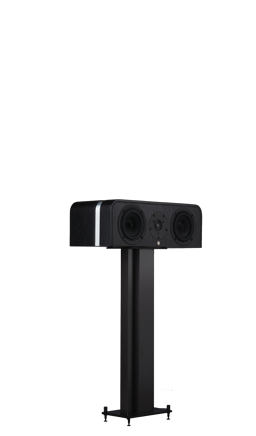 This strategic inner construction (along with a raft of other design features) plays a key role in enabling the dynamism of the Gamut sound. 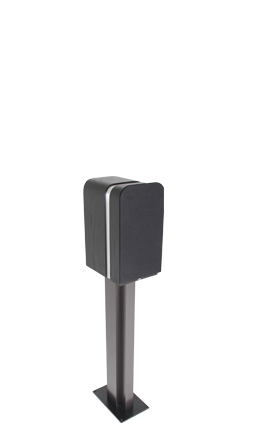 For one thing, it allows us to dramatically reduce internal damping which in turn allows you to hear your music more vividly and with greater spine-tingling realism.